Chef Robin Gill. london. 2017. Chef and restaurateur Robin Gill will be relaunching the Manor in London’s Clapham as Italian restaurant Sorella from late January 2018. With the aim of “bringing something new to the neighbourhood”, the restaurant will close on New Year’s Day to reopen as local Italian restaurant Sorella (meaning sister) with head chef Dean Parker at the helm, ahead of another opening in central London later this year yet to be announced. The Ledbury was ranked in the 50 Best list for the sixth time last year, at 27th. The Ledbury is one of only three of the world’s 50 Best in London — the others are The Clove Club, and Dinner by Heston Blumenthal — and Graham has just started two wild deer farms to produce locally sourced meat for his restaurant. All the The Ledbury’s leftover food goes to his allotment to compost for his vegetable plot. Video by AEG. Discover Indie with chef Dean Parker & Igor Vaintraub. 2017. 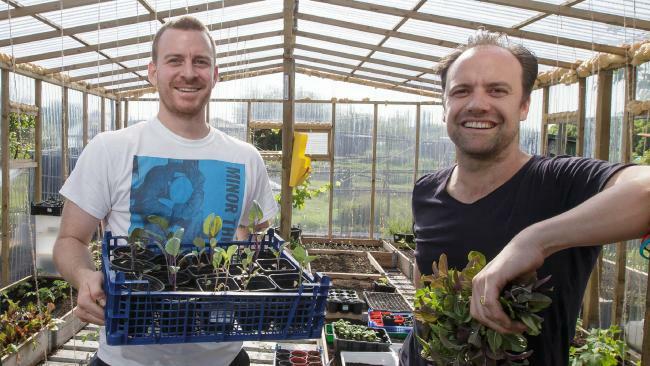 As part of the AEG Tasteology series, AEG caught up with chief food waste farmer, Igor (@foodwastefarmer) and Dean Parker, Head Chef of The Manor, who is tackling the issue of food waste at the source! Together we turn plate and kitchen scraps into bio compost to fertilise fresh and sustainable produce which is then plated for your enjoyment!